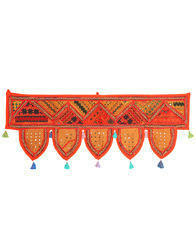 A team of skilled craftsmen from different parts of India work tirelessly to carve out a variety of these Wall Hangings. 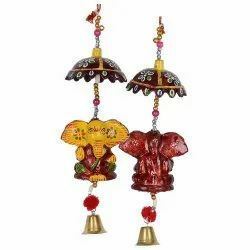 It can be used for decor and give an ethnic look to your living and bedroom area. You can easily fetch many compliments from your guests and relatives. These products are too easy to carry with hand wash. It must be more useful choice for change the interior. 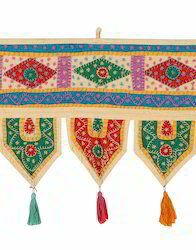 Presenting more beautiful and soft Embroidered Wall Hangings. We are a leading manufacture and exporter all types of cotton Flower Torans. Beautiful Cotton based home Decor collection. 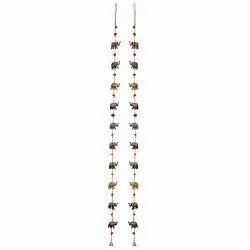 These products are designed using quality raw material and are durable as well as long lasting. Also we make many more item such as Home Furnishing, Brass Handicarft, Brass Handicarft, Paper Handicraft, White Metal Handicraft, Wooden Furniture, Women's Clothing, Men's Clothing, Accessories. Presenting more beautiful Wall Hangings. 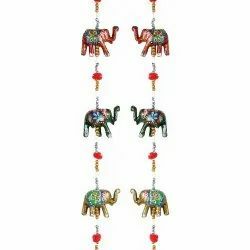 We are a leading manufacture and exporter Elephant Door Hangings. Beautiful Paper Mache based home Decor collection. These products are designed using quality raw material and are durable as well as long lasting. Presenting more beautiful Wall Hangings. 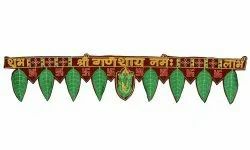 We are a leading manufacture and exporter Lord Ganesha Door Hangings. Beautiful Paper Mache based home Decor collection. These products are designed using quality raw material and are durable as well as long lasting. Also we make many more item such as Home Furnishing, Brass Handicarft, Brass Handicarft, Paper Handicraft, White Metal Handicraft, Wooden Furniture, Women's Clothing, Men's Clothing, Accessories. Presenting more beautiful Wall Hangings. We are a leading manufacture and exporter Elaphant Door Hangings. Beautiful Paper Mache based home Decor collection. These products are designed using quality raw material and are durable as well as long lasting. Also we make many more item such as Home Furnishing, Brass Handicarft, Brass Handicarft, Paper Handicraft, White Metal Handicraft, Wooden Furniture, Women's Clothing, Men's Clothing, Accessories. Presenting more beautiful and soft Mirror Work Wall Hangings. We are a leading manufacture and exporter all types of cotton Door Hangings. Beautiful Cotton based home Decor collection. These products are designed using quality raw material and are durable as well as long lasting. 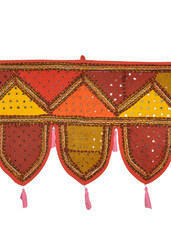 Check out this Red And Yellow colored door hanging which will certainly create a great impression on your guests. Designed to perfection, it features heavy patchwork embroidery and mirror work all over. Presenting more beautiful and soft Work Wall Hangings. We are a leading manufacture and exporter all types of cotton Door Hangings. Beautiful Cotton based home Decor collection. These products are designed using quality raw material and are durable as well as long lasting. Presenting more beautiful Wall Hangings. 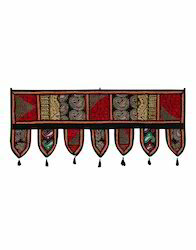 We are a leading manufacture and exporter all types of Beads Door Hangings. Beautiful Cotton based home Decor collection. These products are designed using quality raw material and are durable as well as long lasting. 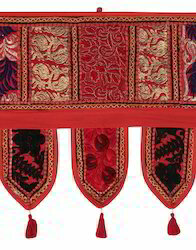 Presenting more beautiful and soft Patch Work embroidered Door Hangings. We are a leading manufacture and exporter all types of cotton Torans. Beautiful Cotton based home Decor collection. These products are designed using quality raw material and are durable as well as long lasting.